This file photo taken on July 15, 2016 shows the logo of Brazilian oil company Petrobras over the entrance to its headquarters in Rio de Janeiro, Brazil. Brazilian state oil company Petrobras will terminate more than 50 Houston jobs next year after selling much of its Gulf of Mexico assets into a new joint venture. 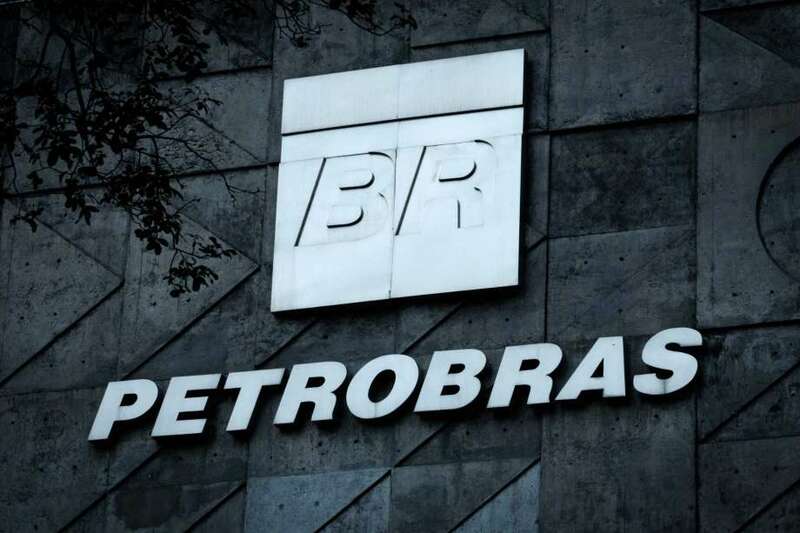 Petrobras, which has struggled financially amid a nationwide corruption scandal in Brazil, opted to sell its Gulf assets earlier this year into a JV in which it will only own a 20 percent stake. Arkansas-based Murphy Oil will operate the JV with its 80 percent ownership. The sale is part of Petrobras’ overall debt-reduction plan. As such, Petrobras is downsizing in Houston and eliminating more than one-third of its local workforce, the company said in a new letter to the Texas Workforce Commission. Petrobras has office space in Houston’s Westchase area. The layoffs will begin in February and run through October, the company said. Petrobras also is looking for a buyer to sell its Pasadena oil refinery in the Houston area. Apart from a massive debt load, Petrobras in recent years also has been caught up in Brazil’s Operation Car Wash scandal, which has exposed Petrobras’ involvement in a widespread corruption scheme among politicians and corporations in Brazil and elsewhere. As part of the investigation, Brazilian regulators found that Petrobras deliberately overpaid for the Pasadena refinery as part of the broader kickback scheme. The country’s federal audit court last year fined two former Petrobras executives millions of dollars for their role in the deal. The refinery also has been the subject of multiple lawsuits alleging that its operators consistently flouted Texas pollution laws. In July, Petrobras agreed to settle a lawsuit brought against the refinery by environmental groups. The company will pay more than $3.5 million in civil penalties as well as reduce emissions at the refinery with equipment upgrades and disaster preparedness measures.